What is the Best Advice that You Can Give Me About Sadhana? 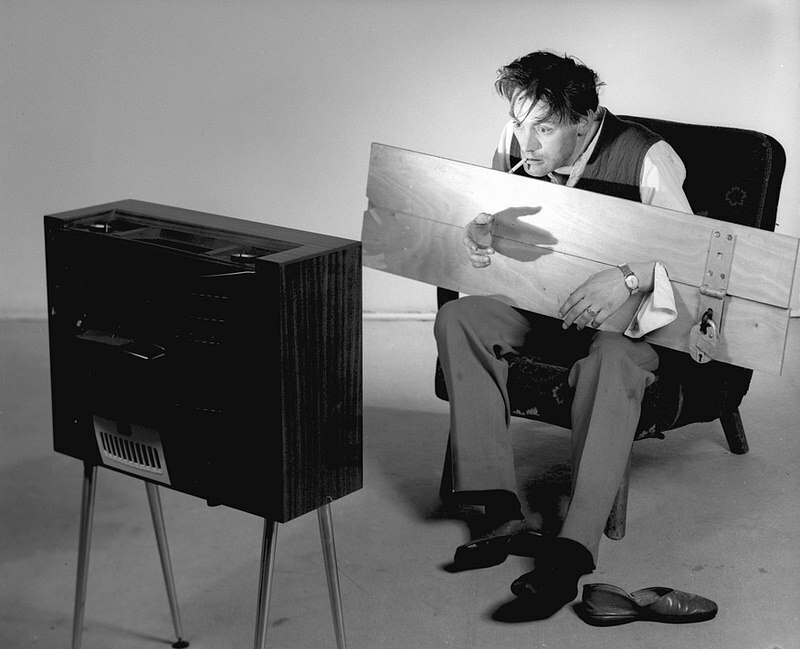 Question: To tell you the truth, I am truly bored with my sadhana. For instance, I have been doing chanting for many years, and I now feel bored doing it everyday. What should I do? “It does NOT matter whether YOUR mind likes it or dislikes it. You must practise your japam (=chanting) as a daily routine….You have received the precious mantram from your Guru. 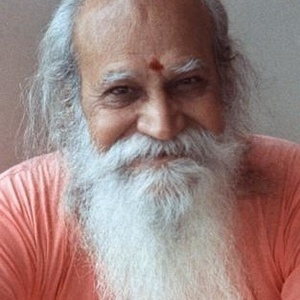 Now dive deep into the ocean of Satchidananda. You have NO self-reliance. Self-effort IS indispensable in spiritual life. Do something for a period of at least four years. Then, if you have not made any TANGIBLE progress, come back and slap me!,” Swami Brahmananda (Ramakrishna Paramahamsa’s direct disciple, and who was, according to the Paramahamsa, Sri Krsna’s playmate) (pg. 118, God Lived with Them). Question: But I cant concentrate during my sadhana. what am I to do? 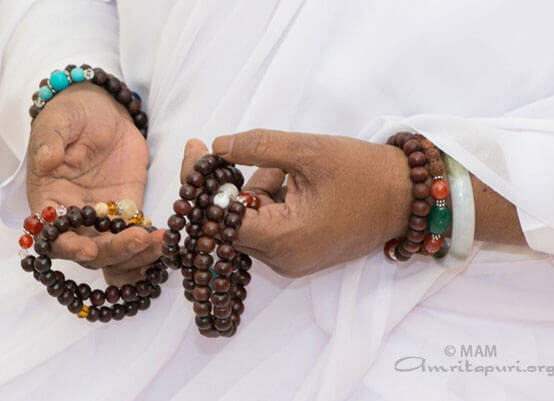 “Even if we are not able to concentrate (during our) spiritual practice, just sticking to a schedule will help to discipline our mind and keep us on the right track. Sometimes, we stop our sadhana, feeling that we are not making progress. One may think,’I can’t chant the mantra with concentration, so why should I continue?’ Or, we hope to get some experience during our meditation, and when nothing spectacular happens, we get discouraged. This attitude is NOT correct; we must persevere in our efforts. (It is like) swimming upstream against a strong current—we may not move forward…or even at all, but if we were to stop… we would be swept backwards… Likewise,… sadhana prevents us from being drowned by our negative tendencies and selfish desires,” Swami Ramakrishnananda (pgs. 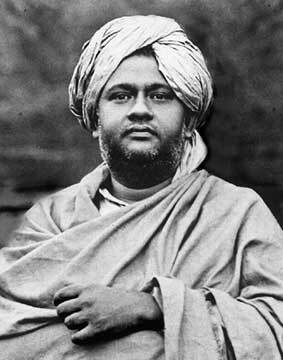 188-189, The Secret of Inner Peace) [Note: Swamiji is a direct disciple of Mata Sri Amritanandamayi]. Question: What is the best way to attain success in sadhana? “Unless one delves within and tries to understand the inner machinery (=mind), one cannot practise sadhana successfully.” (pg. 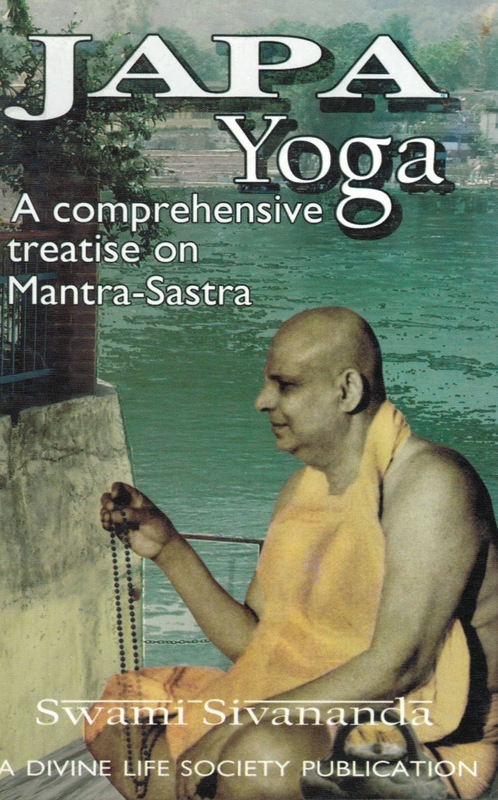 440, [Practical Sadhana: A Discussion] Sadhana by Swami Sivananda). 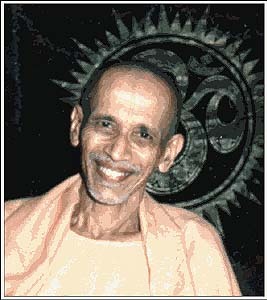 Question: How far is the control of senses important to success in sadhana? Devotion and Sadhana: How to Make Progress Today — Right Now? c. Ananya Bhakti (Exclusive, one-pointed devotion). 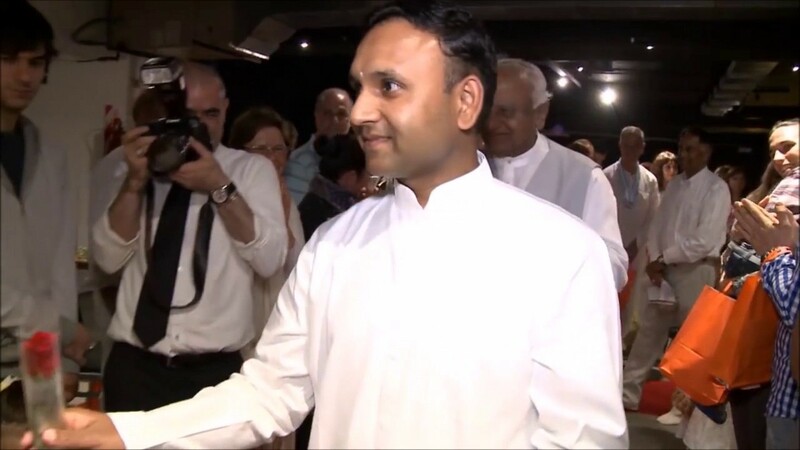 Mata Amritanandamayi: “We should understand that God-realisation is the aim of life, and worship Him with this goal firmly fixed in our mind. ‘devotion in principle’ means recognising that it is the one and the same God who manifests in all living beings and in all the deities — in all names and forms. It means surrendering selflessly to Him. That is the kind of devotion we should have.” (pgs. 79-80, Eternal Wisdom, Vol. 1). 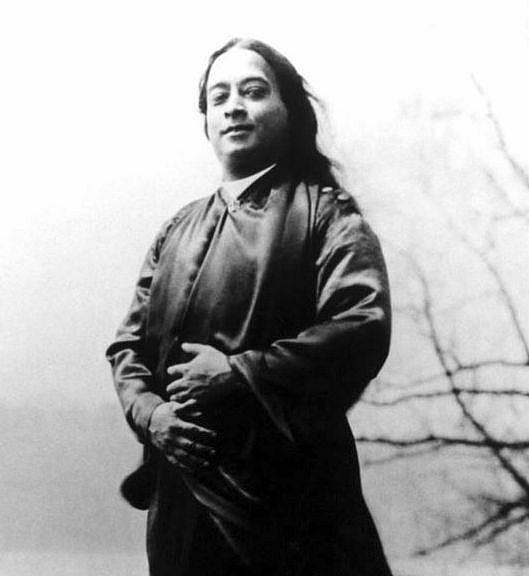 Paramahansa Yogananda: “Devotion means that you know He is omnipresent around you in the dark conundrum of cosmos, playing a divine game of hide-and-seek with you. Behind the leaves, behind the wind, behind the warm rays of the sun—He is hiding, but He is there. He is not far away; that is why it becomes easy to love Him. 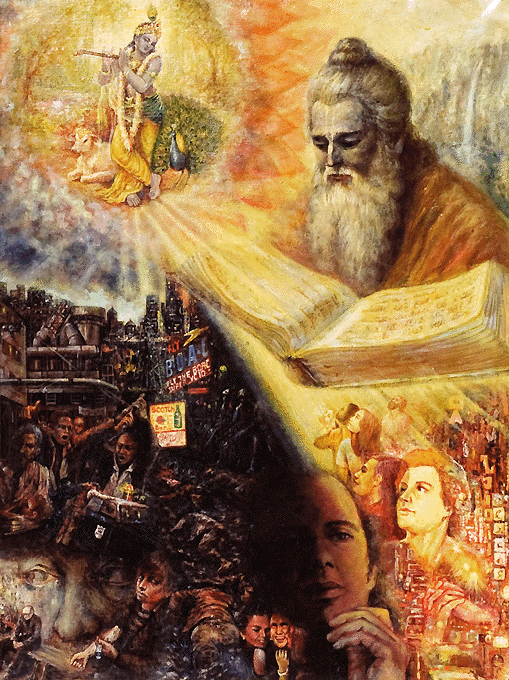 (Excerpts from 1998 SRF Magazine – (http://yogananda.com.au/pyr/pyr_devotion1.html). Anandamayi Ma: “Devotion means total dedication and surrender, and love for the Lord”. (pg. 71, Living with the Himalayan Masters by Swami Rama). Question: Everyone talks about spiritual life, or leading a divine life. What, indeed, is spiritual life? Swami Sivananda: “The most important thing about divine life is in the living of, not so much in the knowing of it.” (pg. 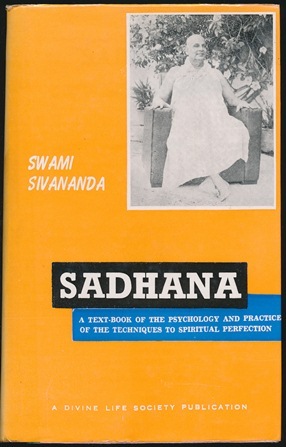 437, Sadhana by Swami Sivananda). Question: I have been doing sadhana; but I am not making any progress: why? Swami Sivananda: “Unless one delves within and tries to understand the inner machinery (=mind), one cannot practise sadhana successfully.” (pg. 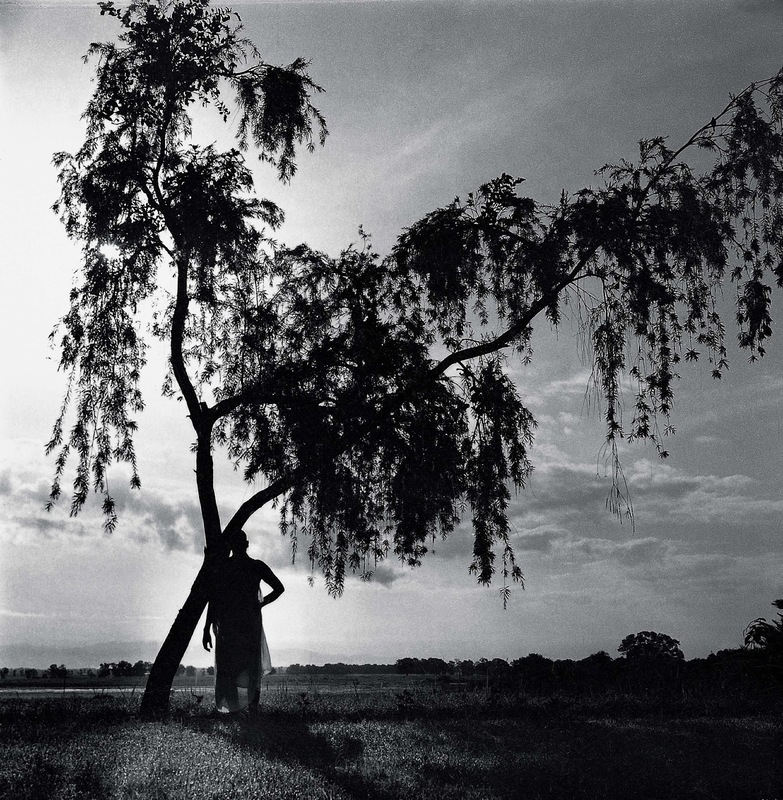 440, Sadhana by Swami Sivananda). Question: What, then, is the solution? Is it Necessary for Everyone to do Sadhana? Isn’t faith in one’s Guru enough? Question: One devotee says that there is no need to perform Sadhana so long as one has faith in one’s Guru. No Progress Despite Sadhana: Why? Question: Why is it that I don’t seem to be making much progress despite years of my performing Sadhana? 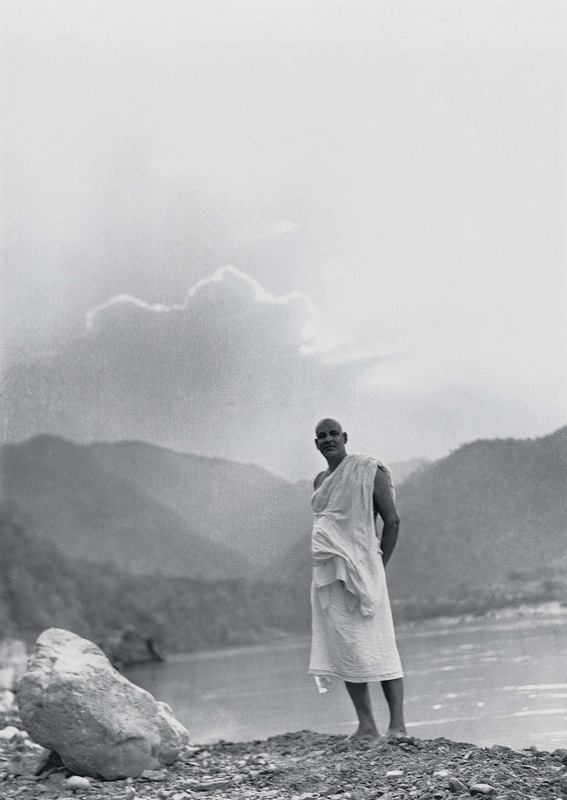 Swami Sivananda: “…a little bit of japa or puja and THEN running after sense-enjoyments will NOT help you much.” (pg. 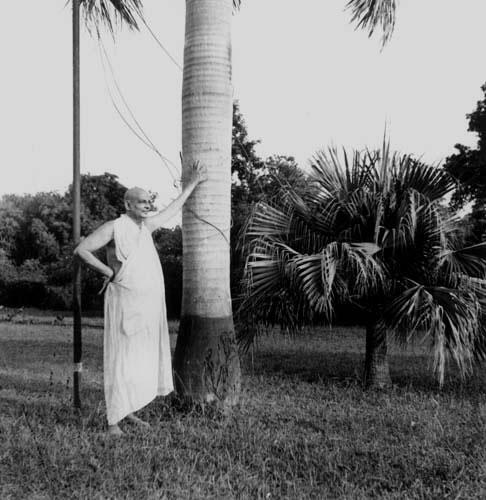 215, Sivananda’s Lectures: All-India and Ceylon Tour). Swami Sivananda: “If (Sadhaks) are IRREGULAR in their practice, if their Vairagya wanes, if they mix FREELY with worldly people, they get a DEFINITE setback, the grace VANISHES, the experiences disappear. They are NOT able to rise up again to their original heights of spiritual glory. 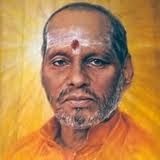 Therefore, REGULARITY in sadhana and Para-vairagya should be ALWAYS maintained,” Swami Sivananda (pg. 87, Spiritual Experiences). 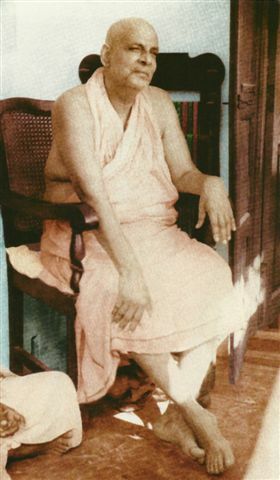 Swami Sivananda: “If you are in the company of saints, if you read books on Yoga and Vedanta, an attachment to idea of God-consciousness will take place. BUT mere attachment will NOT help you much. BURNING dispassion, KEEN desire for liberation, CAPACITY for Sadhana and INTENSE and CONSTANT meditation IS required,” (pg. 372, Science of Yoga Vol 5). Question: But I don’t have much time to do any sadhana. How long do I have to do sadhana? 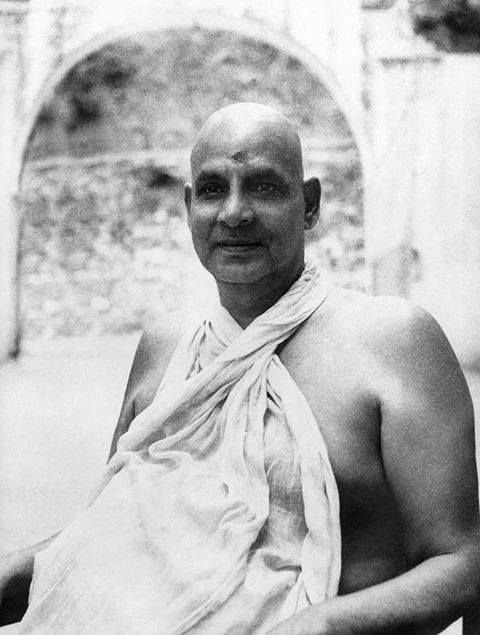 Swami Sivananda: “…do…Japa for TWO hours. (pg. 45, Japa Yoga). 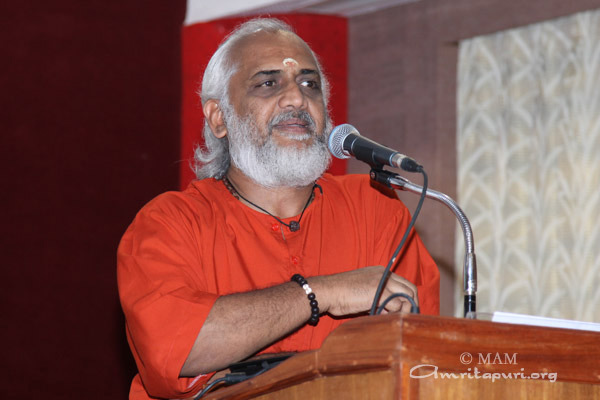 How to Achieve Success in Sadhana? Question: When I sit to do my meditation every morning, my mind wanders wildly. It is a big hassle every day to do my meditation, japa or for that matter even prayers, which are always interrupted by varied thoughts and feelings. How to achieve success in my sadhana, i.e., meditation and japa? What is the Easiest and the Best Sadhana for this Age of Quarrel and Confusion? How Long Do I have to do Japa Every Day? 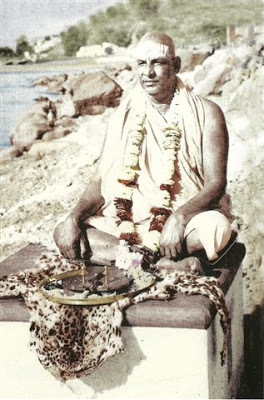 Swami Sivananda: “Do the treatment of Nama-Japa for at least 2 hours in the MORNING and EVENING. You will find the miraculous effect within a short time.” (pg. 123, Japa Yoga). 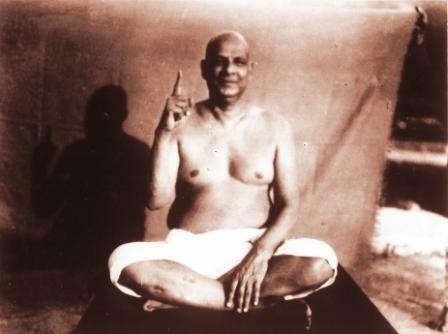 Swami Sivananda: “Get up at 4 a.m. and do Japa for TWO hours….Repeat the Name mentally throughout the day.” (pg. 148, Japa Yoga). Swami Sivananda: “Have FOUR sittings for Japa daily-early morning, noon, evening and night.” (pg. 53, Japa Yoga). Swami Sivananda: “…you must evince extreme keenness in doing Japa also 4 times, in the morning, noon, evening and night.”(pg. 91, Japa Yoga). sittings, say, in the morning from 4 o’clock to 7, in the evening from 4 to 5, and at night from 6 to 8. (pg. 82, Japa Yoga). How Do I do Japa? Question: How and where should I concentrate on when I am doing Japa? Question: Mother, is it beneficial if one chants mantras even without knowing the meaning ? 1). People recklessly and mindlessly destroy trees or groves. 2). Everyone will lack discrimination as regards food: they will eat anything and everything. 3). Passing themselves off as saintly, nefarious people will indulge in trade and commercial activity. In the garb of saintliness and spirituality, avaricious people will concentrate on amassing wealth, and find wealth is the mark of a man’s worth in society. 4). In Kaliyuga, man finds friendship only in his wife, and he regards his in-laws as true relatives. 5). People with money and wealth will be considered persons of noble birth with good qualities. People in power will steer the course of justice in their favour. 6). 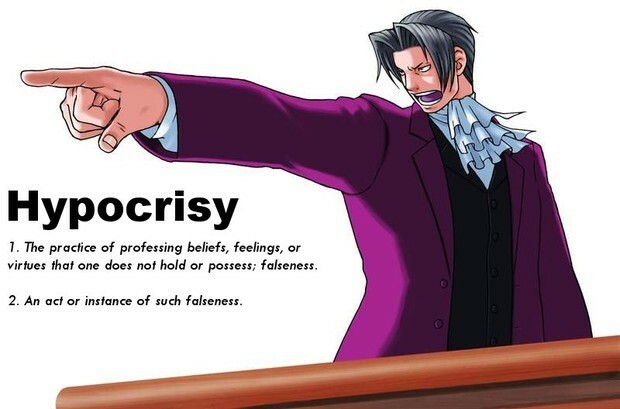 Impecunious and penurious people, and those who are not given to bribery will be deprived of justice. 7). People will consider going on pilgrimage to far-off places more important than honouring and serving their parents. 8). Brahmins will do the work of sudras. 11). Brahmins will start to eat anything (i.e., they become indiscriminate in their choices of food). 12). Men will become feeble, and will have shorter life span: They will lack energy and valour. 16). When Kaliyuga degenerates even further, Dharmic people will have shorter life span. 18). Towards the end of Kaliyuga, the young ones will act like old people. The conduct that suits the young is seen in the old. The old will think like children, and young people will have the intelligence of the old. 19). In Kaliyuga, people abbreviate the truth; because of this harm done to the truth, lifespans are further shortened. 20). There will be a lot of intermarriages between people from different strata of society, and miscegenation becomes the order of the day. They will behave like sudras who are devoid of austerities and truth. 27). 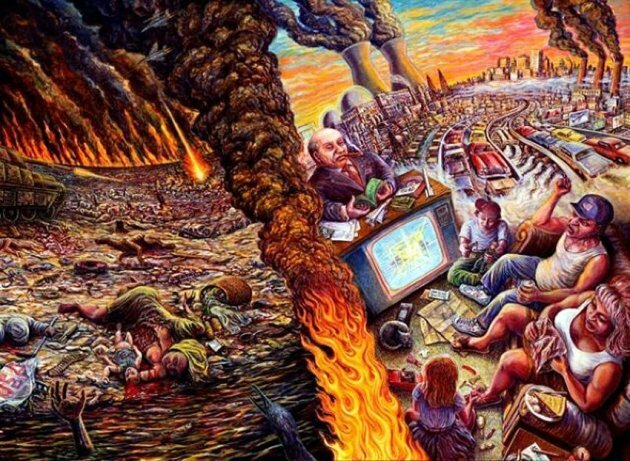 When the end of Kaliyiga is near, the Kshatriyas will be the thorns in the flesh of the world. They will not protect others. 28). No one will ask for a girl’s hand in marriage; no one will duly give away a girl in marriage. When Kaliyuga is fully ripe, men and women will choose their spouses themselves. 34). People will adorn themselves with the marks of a sadhu, i.e.. there will be profusion of fake sadhus. 35). (Cooked) food will be sold at all major thoroughfares. Note: According to manusmrti selling of cooked food is a sin; this is because everyone has a right to food, whether he has money or not). 36). When Kaliyuga is fully advanced, each will act as he wishes in the name of human rights. 37). Brahmins will be oppressed by Sudras and thus tormented by the former will wander all over the earth looking for protection. 38). Sudras will expound on Dharma, and the Brahmins will listen to their discourses and serve them. Everything in the world will be utterly upside down. 41). Rains will come down at the wrong time. 47). Mutual liking between the boy and girl, and not family pedigree or social status, etc., will be criterion for selecting a spouse. 52). Brushing one’s hair and dressing up will be considered as substitute for bath. 53). The highest purpose of life will be to fill one’s belly. 54). Maintenance of one’s family will be looked upon as the highest skill. 56). There will be no rule in becoming a king. 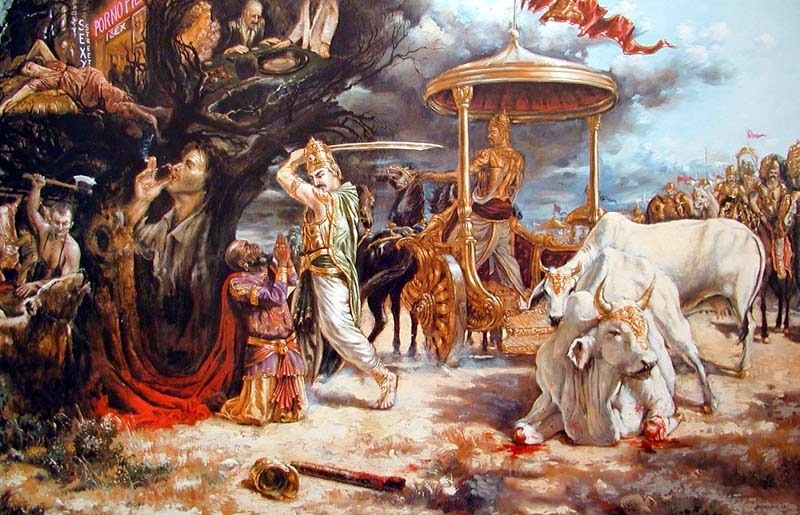 Any Brahmin, Kshatriya, Vaishya or Sudra, depending on who is the most powerful at the time, will become the king. At that time, the rulers will be so greedy that there will not any difference between them and robbers. 58) In Kali-yuga the people will be sinful, short-lived, unfortunate, slow, and unintelligent. How then to survive the virulence of Kali Yuga? “In this Kali Yuga, when the physique of the vast majority of persons is not good…Japa is an EASY way to God-realisation… There is no Yoga GREATER than Japa Yoga” (pg. 279, Yoga Samhita). In the Gita, Sri Krsna says, “Among Yagnas, I AM Japa Yagna”. Sri Brahma said the same truth to Naradha in Kali-Santarana Upanishad. Vishnu Purana (6:2:17), Brhan Narayana Purana (38:97) have underlined the same fact. Srimad Bhagavatam (12:3:52) asserts, “OTHER processes of worship are NOT possible in THIS yuga”. Hence, Japa IS the sadhana for Kali Yuga. “In this Kali Yuga, God-realisation can be had in a short period. It is the grace of the Lord. You need not do severe Tapas now. You need not stand on one leg for several years, as people did in days of yore. 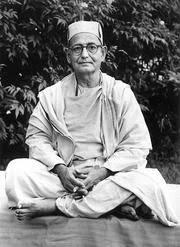 You can realise God through JAPA, Kirtan (=singing) and prayer.” pg 128, Japa Yoga by Swami Sivananda. That is, whatever result was obtained in Satya-yuga by meditating on Vishnu, in Treta-yuga by performing sacrifices, and in Dwapara-yuga by serving the Lord’s Lotus feet can be obtained in Kali-yuga simply by chanting the holy names of God. 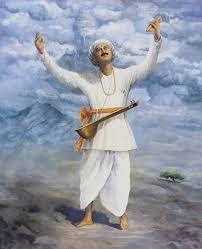 yad apnoti tad apnoti, kalau sankirtya keshavam. 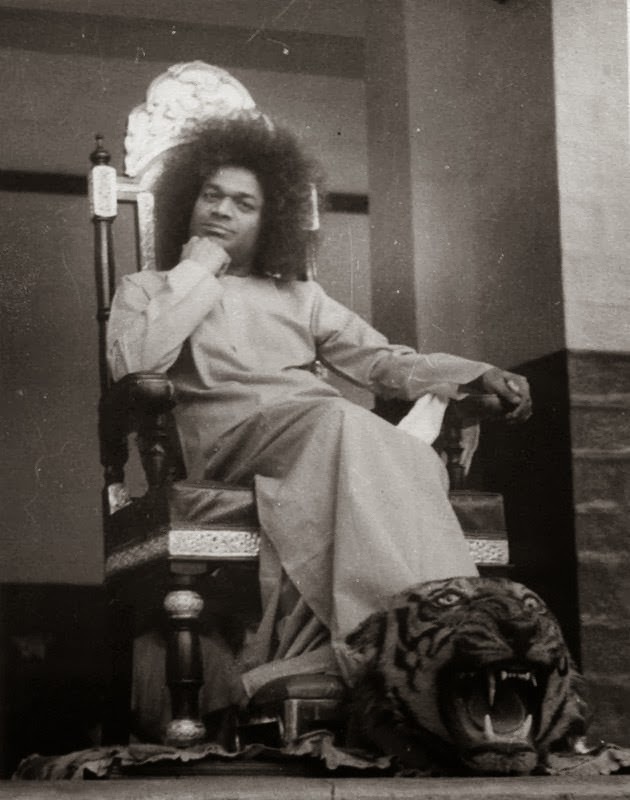 In sum, Whatever is achieved by meditation in Satya-yuga, by the performance of yajna in Treta-yuga or by the worship of Krishna’s lotus feet in Dvapara-yuga is obtained very easily in the Age of Kali simply by chanting the name of God. Garuda Purana 1.230.20, “Evil influence of the Kali age, wicked statements, vile utterances of heretics – none of these affect the mind of the person in whose mind Lord Kesava finds a place”. Garuda Purana 1.230.23, “If Govinda is fixed in the mind, the vile age of Kali is transformed into Krta. If Acyuta is not fixed in the mind even Krta-yuga is transformed into Kali age”. Swami Sivananda: “In this kali Yuga, even if just ONE Ekadashi is observed with DISPASSION, faith and DEVOTION, AND if the mind is WHOLLY fixed on Hari, one is freed from the rounds of birth and death. There is no doubt this. The scriptures give us their assurance on this point.” (pg. 152, Hindu Fasts & Festivals). Sadhana — Is it Necessary? Question 1: Someone I know says that there is not much importance in Sadhana and that it is enough to have faith in one’s Guru. 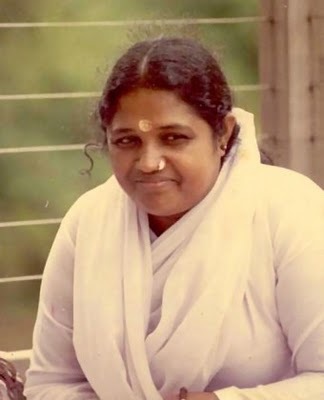 Mata Amritanandamayi: “Son, a person who has faith in (the Guru) will perform sadhana as (the Guru) instructs. Such a person will live without erring even a little bit. Will your disease be cured if you only believe the doctor but do not take the medicine? Not only that, faith will gain strength and steadiness only if sadhana brings experience. Otherwise, faith will slip into irresoluteness. You cannot progress without sadhana. Can’t you see even jivanmuktas (those who have achieved liberation while tenanting the body) doing meditation and japa (repetitions of the mantra) to set an example? 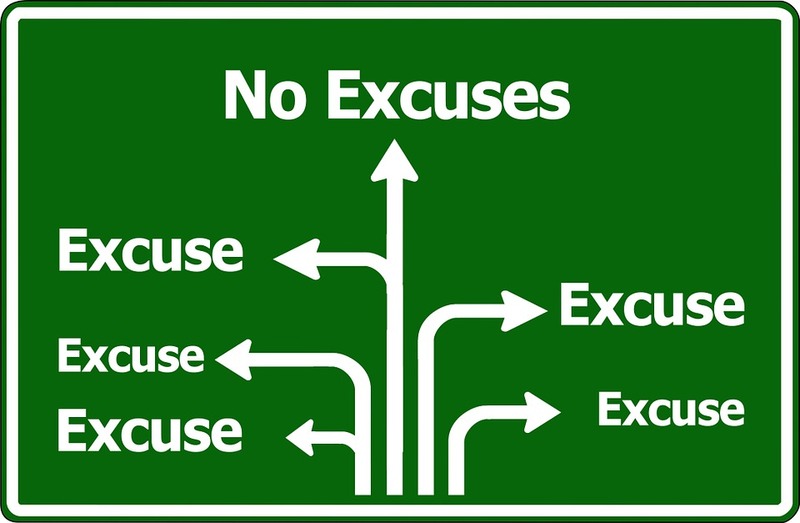 No progress will accrue to him who simply sits saying faith will save me without doing anything. Unquestioning obedience is what is meant by faith and devotion. Whatever the Guru says, one should unconditionally obey. Do not ask any questions. Do not doubt the Guru. One should unconditionally obey the Guru whatever he says, whether it is doing service to the Guru, service to society, Japa, Dhyana or anything else.” (pgs. 82-83, Awaken, Children! Vol. 3). Question 2: I do sadhana but I feel empty. Why is this so? Question 3: How do we find the time to do sadhana? We are all too busy with work and family. Question 4: Is it all right if one chants mantras even without knowing the meaning ? Question 5: Is it necessary to do sadhana everyday? Is it wrong or even harmful to stop sadhana for a day or two? 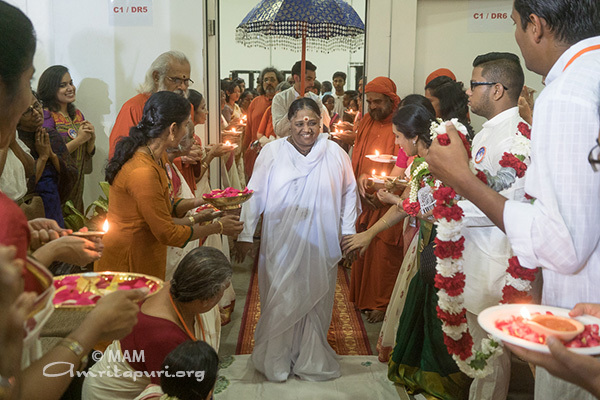 Mata Amritanandamayi: “Do not do sadhana with the intention of making it known to others or to please them. We don’t stop brushing our teeth, taking a shower or eating food because those are necessities. In the same way, we should remember that sadhana is also necessary for us every day. We will stink of we do not take a bath and brush our teeth. It will be troublesome for others also. We should understand that refraining from doing sadhana is at least as harmful as this. Sadhana should become a part of our life.” (pgs. 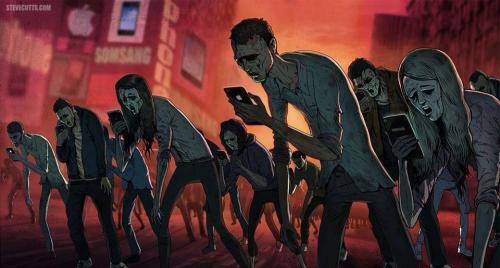 122-123, Awaken, Children! Vol. 1). Question 6: What is the best place to do sadhana? 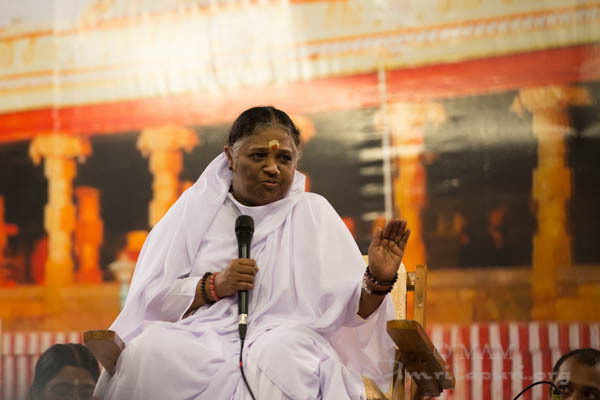 Mata Amritanandamayi: “Sadhana should be done in the presence of a Perfect Master or in an ashram”. (pg. 135, Awaken, Children! Vol. 1). Question 7: I got a mantra from you; isn’t it enough that I have been accepted as your disciple? Question 1: A high premium has been placed on Japa (=chanting). Isn’t chanting but incantation of a certain formula or a group of words? How could a mindless repetition of a set of words can become a life-saving instrument, or one that has the key to life mysteries? Question 2: How is it different from other practices like meditation, yoga, ritualistic prayers, etc.? Question 3: Everyone about me is chanting but I do not see any difference in them or in their lives. They have not changed or changing. How come chanting isn’t working for them? Question: What is the most efficacious way to attain God? Question: I have been doing Japa but I do not see any evidence of my attaining God. Swami Yatiswarananda: Japa is not to be done parrot-like. Patanjali says, “Tajjapastadartha-bhavanam” (Yoga Sutra 1:28). As you repeat the divine name, do the “arthabhavana“. What is “arthabhavana“? Dwelling on the meaning. You find trhat as you progress in spiritual life, you understand the deeper and deeper ‘meaning’ of the mantra. first of all, let us think of the luminous, blissful Form of the Ista Devata. Then, think of Him as an embodiment of infinite purity, knowledge, devotion, compassion, love and bliss. Then, think that He is no other than the Paramatman—the all pervading Spirit dwelling in all beings. (pg. 302, Meditation & Spiritual Life). Question: I think, I am more into meditation (=dhyana) than chanting (=japa): Meditation appeals to me more. 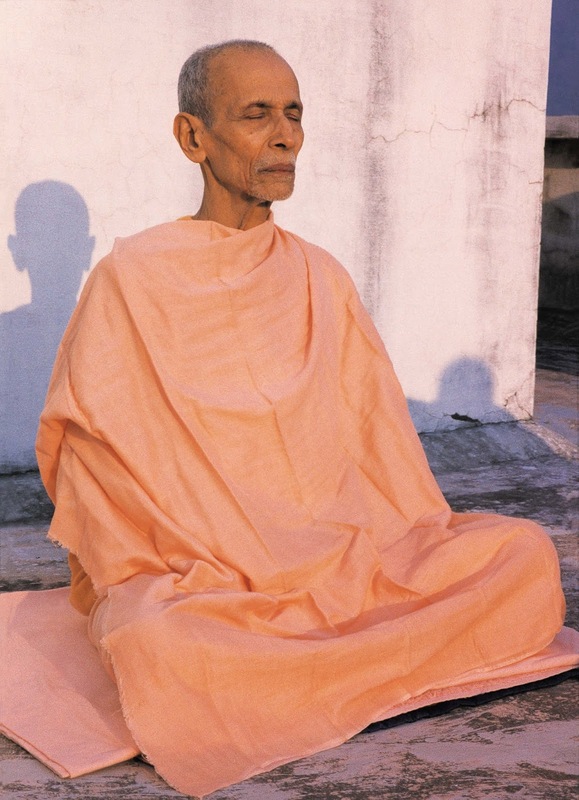 Swami Yatiswarananda: We talk of dhyana or meditation. You say, ‘I am meditating.’ What are you meditating on? Going on brooding over something or other? 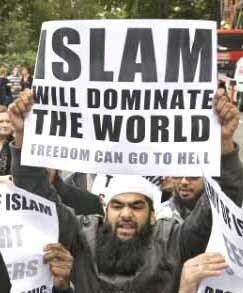 That is not what is implied by that word…. (Meditation) will not come all of a sudden. Japa (=chanting) is a step towards that. Repeat the divine Name, thinking of Him; then, the mind becomes a little calmer, and even the sound drops off. As you thus go on thinking of Him, the Ista Devata becomes more and more real than the things of the world. (Then, meditation takes place.) (pg. 302, Meditation & Spiritual Life). Question: How often must I do Japa (=chanting) or all these that you have said before I see any results? Swami Yatiswarananda: All this will happen if we undergo regular spiritual practice. (pg. 302, Meditation & Spiritual Life). Question: What is meant by Japa (=Chanting)? Question: How should I carry on Nama-japa (=chanting the holy name of God)?